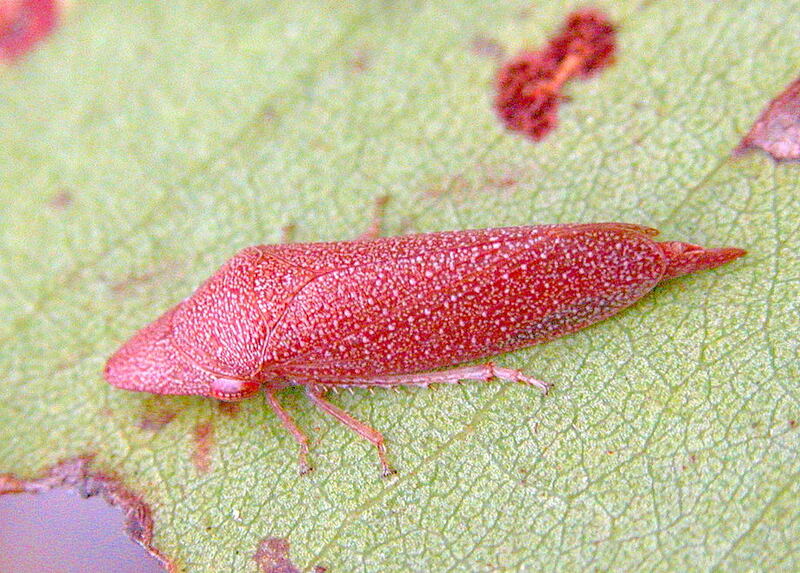 This page contains pictures and information about the White-doted Brown Leafhoppers that we found in the Brisbane area, Queensland, Australia. The Leafhopper was found on White Hill in later summer. Its head produced forwards in front of the eyes and its abdomen tip extends well beyond its wings. 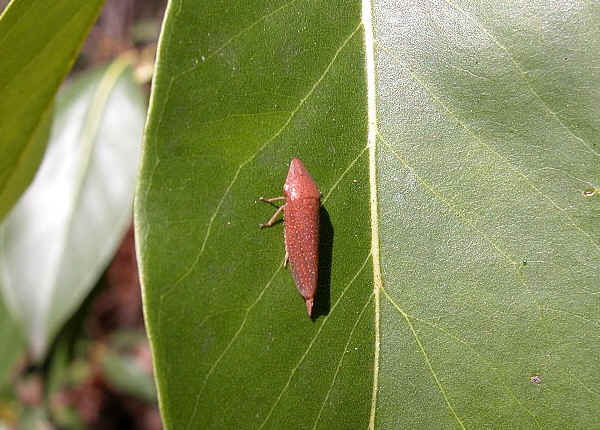 We saw this leafhopper a few times, it was always found sitting on leaf. 1. Insects of Australia, CSIRO, Division of Entomology, Melbourne University Press, 2nd Edition 1991, pp 469-470. 2. 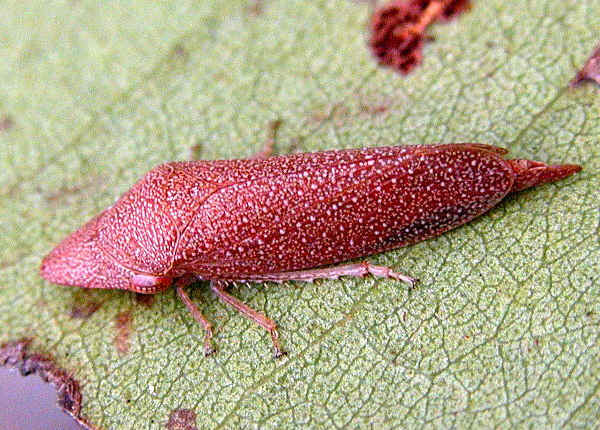 Rhotidus teleformis (Walker) - Checklists of Australian and New Zealand, By MURRAY J. FLETCHER, 2005. 3. 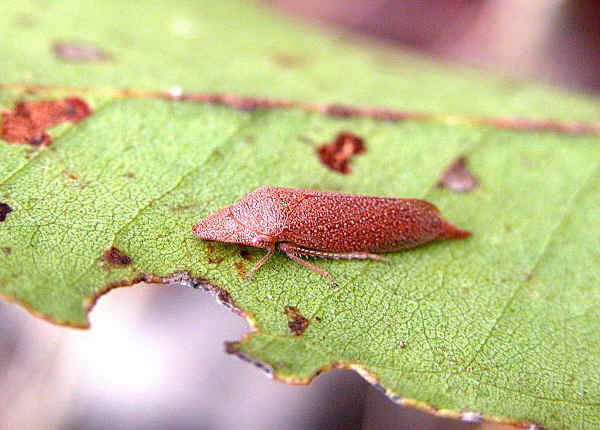 Species Rhotidus teleformis (Walker, 1851) - Australian Biological Resources Study, Department of the Environment and Heritage.